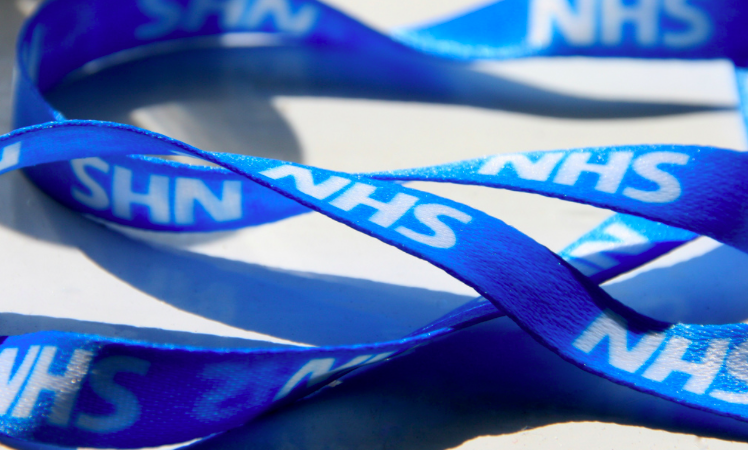 Not only is the policy discriminatory – it's unclear that it makes the NHS any money. Charges made to migrants living in the UK for using the NHS are set to double, it was announced today. It’s the most recent part of an ongoing right-wing attack on migrants, blaming them for the NHS’s funding problems. The ‘immigration health surcharge’ – that people from outside the European Economic Area staying in the UK for six months or longer must pay – will rise from £200 to £400 a year. The policy to charge non-UK residents for using the NHS was originally introduced by Theresa May’s Home Office in 2015, in a clampdown on “health tourism”. The charges were introduced at the same time as rules that said any organisation receiving NHS funding was required to check every patient’s ID, determining whether they’re eligible for free care, and charging them if not. The crackdown was in response to indignant calls in the media that migrants were ripping off the NHS: Health tourism was a “scandal” and a “crisis” according to the Express; and a “looming disaster” according to The Mail. But the idea propagated by the right-wing press that migrants are systematically running the NHS into the ground through “health tourism” is – surprise, surprise – massively exaggerated. ‘Health tourism’ is estimated as costing the NHS between 0.1% to 0.3% of it’s total budget each year. Does this financial argument really justify introducing a massive layer of bureaucratic ID checks into the NHS? It would seem almost definitely not, considering the consequences of these checks are extremely regressive. Putting checks on access to healthcare deters people in vulnerable groups – such as homeless asylum seekers and victims of trafficking – from accessing services, for fear that they’ll be reported to the Home Office. The charity, Doctors of the World, who run drop in clinics for vulnerable people in London, said charging people for healthcare “deters many of the people we help from accessing services they need”. “The government is effectively making a whole host of community health workers into proxy border guards – from school nurses to charity workers to trauma counsellors. And indeed people are right to be fearful. An investigation by Buzzfeed last year revealed that the Home Office was using NHS data to find and track migrants – and NHS workers weren’t even aware this was taking place. Today’s announcement is the continuation of a regressive Tory policy that contributes a negligible amount to NHS accounts whilst demonising migrants and putting healthcare out of reach to some truly vulnerable groups of people. The cost of the NHS is £3,000 a year per head when you include pensions. The Tories have flog it off below cost. Then you have the question of bad risks. If you need treatment costing 10s of thousands of pounds, and can afford £400, pay the £400 and get the treatment way below cost. Selling state services below cost when you don’t have to is a terrible idea. If you don’t believe me sell me your house for a quid. Measured. If you don’t look, don’t ask, you won’t find out the true scale. According to the Murdock media the queues for the NHS free service must be over twenty miles long. One wonders how much the French must be paying when one could hardly say the migrants living in tents can afford food let alone a health service cost in the EU or UK. On the other hand the ‘thousands’ of tourist visa holiday makers who try to save a few hundred dollars over here instead of over there, on private healthcare, is hard to imagine. Another case for reality check perhaps. Yet another article for the sake of an article. By the writer’s own admission the number of people charged is tiny and if they can afford to come here then surely they can afford this relatively small sum. If they are working then they pay contributions and the service is free. For emergencies nobody is refused. Nothing to see, move on.